Tesla CEO Elon Musk has worked for years on a fleet of autonomous cars that might ease the pain of traffic during the morning commute. But his latest project aims to eliminate that traffic altogether. 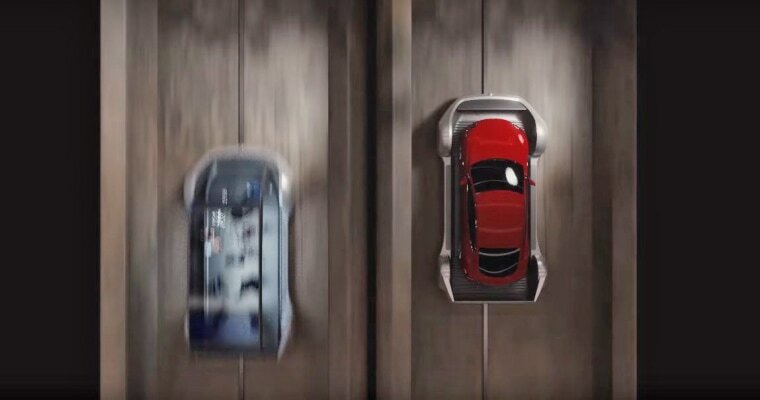 Beyond the incredible speeds, the sleds will also automatically switch the cars from one tunnel to another depending on their final destinations. Musk estimated the sleds could cut a roughly 45-minute, 10-mile drive in traffic from Westwood to LAX airport down to five minutes. The tech visionary also showed off the company's first boring machine, named Godot, on Instagram Friday. Godot is being assembled at the mouth of the inaugural tunnel and “will be a few hundred feet long when complete,” Musk said. During the project's announcement in April, Musk said his future boring machines will be able to cut the hole and reinforce the walls simultaneously to help dig tunnels more quickly and more efficiently. Until then, he plans to “jack” up the speed of his bores by a factor of ten to get his project moving.